D. A. 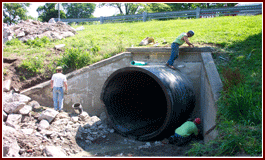 Van Dam & Associates, LLC is proud to offer you services such as Culvert Rehabilitation by means of Slip Lining, Spray Lining, and UV Lining as well as Manhole Rehabilitation to prevent I/I from entering sanitary systems by using chimney seals, insert dishes, joint wrap and chemical grout. D. A. 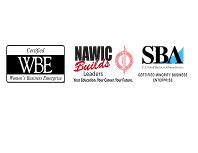 Van Dam & Associates, LLC is proud to offer you products and services for all your storm water rehabilitation needs. From specified products to rehabilitation/installations,from Slip Lining, Spray Lining or UV Lining, we can help you solve any of your culvert and storm water problems. 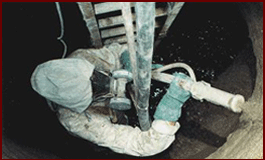 We can offer you a wide range of products and services including installations and rehabilitation for your sanitary systems to reduce I/I into treatment plants from chimney seals, insert dishes, joint wraps and chemical grout. D. A. 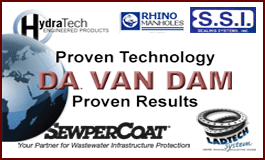 Van Dam & Associates, LLC is proud to offer many products specifically designed and engineered to solve problems associated with and involving underground infrastructure for storm water and sanitary systems.